I browsed these labs, all of them are very good. I will definitely try most of them later. 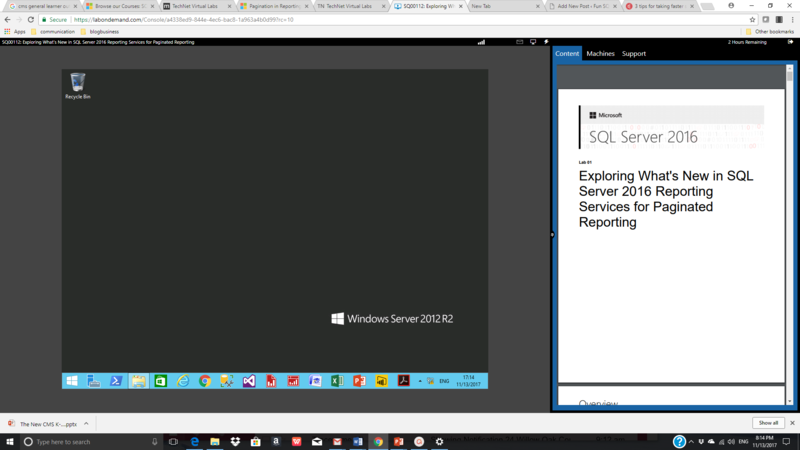 But today, I will show how to use one of them—Exploring What’s New in SQL Server 2016 Reporting Services for Paginated Reporting. 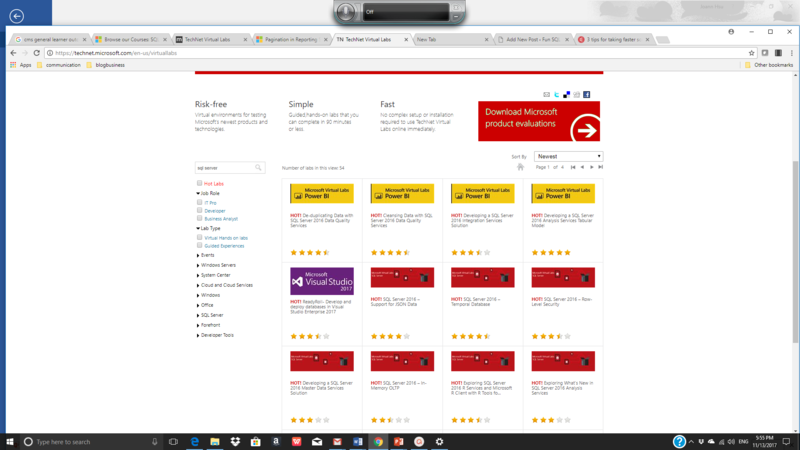 Click on “Get Started” button on this page. 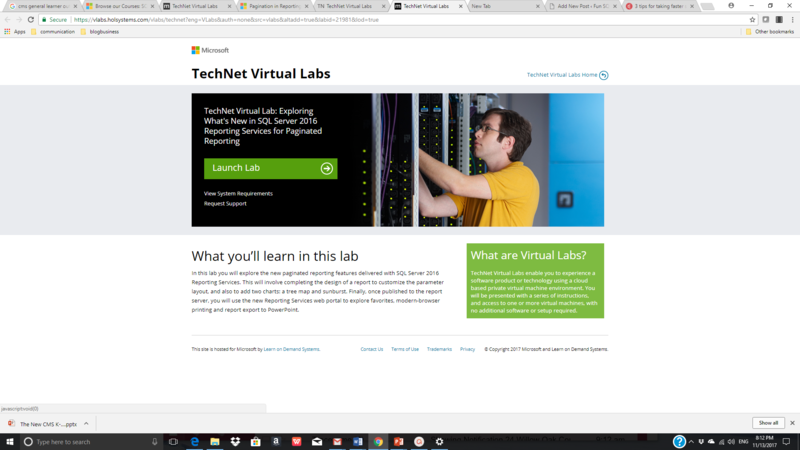 Click “Launch Lab” on this page. It will take several minutes for the virtual machine to start (I waited only about one minute). Now you see this on your web browser. A computer display is on the left part. The operation system is Windows Server 2012 R2. On the right side, you see a 40-page manual about the lab. 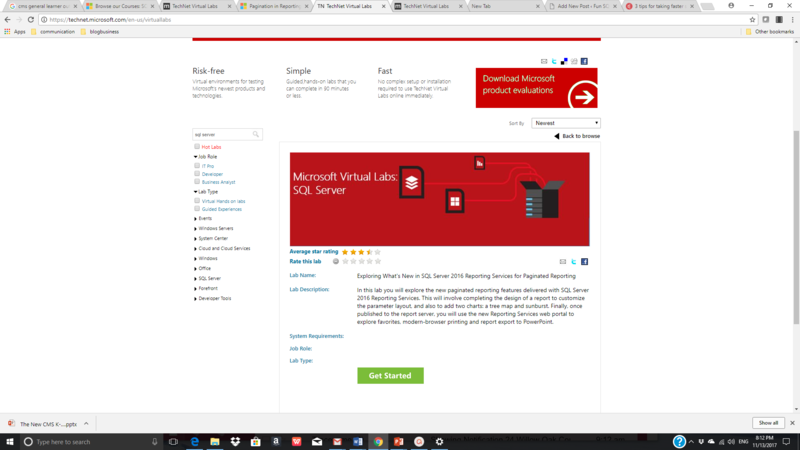 I made a video about this lab and how to use this virtual machine beyond its lab manual. 1 “Get Started” and “Launch Lab” buttons don’t always work. Don’t feel discouraged, try again, and try again. You will get it work for you. 2 The time slot is only 2 hours. After two hours, you will need to start a lab/virtual machine again.